Probably one of the most spectacular track races, keirin is a traditional event that is huge in Japan (hence the name) where a whole industry has been based on these races – which is very controlled due to the massive amount of betting that occurs on the race outcome. The keirin is run over 1,500m and begins with riders following behind a pace bike (usually a motorbike or derny). Riders draw for starting position and line up on the start line (hand-held) in the position drawn. As the pace bike approaches the start line, the starter will start the race with a whistle or gun and riders will accelerate away and pull in behind the pacer, single file in the positions drawn. Riders must not pass the pacer and remain within a short distance of the pacer or rider in front. After the first 125m, riders can accelerate forward and ride abreast of other riders to improve their position. They may remain on the outside line or try and slot into the inside pace line if another rider allows, although others rider are not obliged to let them in. Starting at 30kph, the pacer will gradually increase speed each lap to approximately 50kph until the half way stage (750m) of the race before pulling off the track. At this point riders can increase (or decrease) their speed and change positions to suit their race strategy and the race become an all-out battle for supremacy to be first at the finish. Distance: 750m, although different size outdoor tracks and local rules may affect the race distance and where the pacer exits the track. Variations: Race distance and the distance remaining when the pacer exits the track may vary according to local club rules. The rule restricting the position riders must take at the start may not be enforced, thereby allowing riders to fight for their preferred position behind the pacer. Key Rules: Riders must ride the first half lap in single file behind the pacer, in the starting position drawn. Riders may not leave a large gap between themselves and the pacer or rider in front of them (this is at the Commissaires discretion but usually around half a bike length maximum). Do not overtake the pacer, your front wheel cannot be ahead of the pacer front wheel. 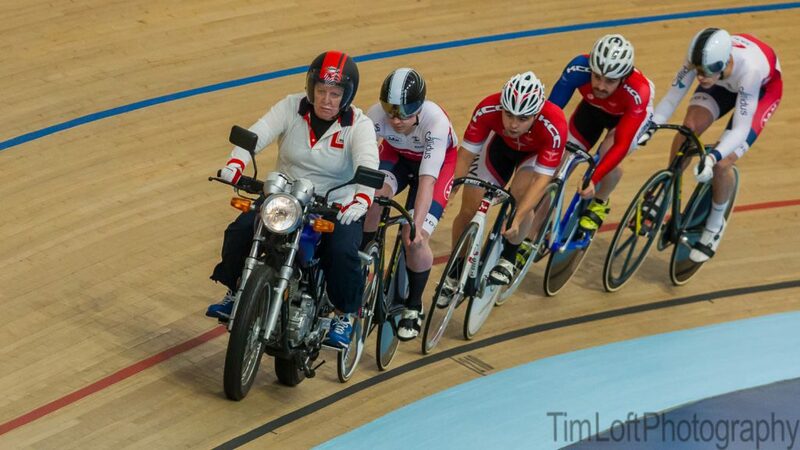 Ride a straight line, no sudden changes of line or swinging up – things happen really fast in a keirin! Tactics: Once the pacer exits the track, put yourself in the best position to suit your own riding style. Have a plan A, B and C and then throw them out the window when the race starts. What to watch for: Riders trying to slot into a position in the pace line where they are not wanted (no head butts and elbows allowed – anymore). Rapid acceleration, riders trying to find gaps in the bunch at high speed…in fact, don’t take your eyes of a keirin race! Copyright 2018 All rights reserved. 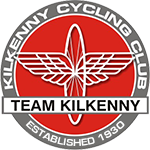 Kilkenny Cycling Club.